WASHINGTON — The U.S. Defense Advanced Research Projects Agency (DARPA) has canceled a planned formation-flying satellite demonstration in which it has invested nearly $200 million, but a senior agency official said DARPA remains committed to space. In a May 16 interview, Brad Tousley, director of DARPA’s Tactical Technology Office, confirmed the decision to terminate the Future, Fast, Flexible, Fractionated Free-flying Spacecraft United by Information Exchange, or System F6, experiment, which had a notional 2015 launch date. Tousley cited a number of factors including the lack of an overall integrator to pull the mission together, and said the project’s cancellation is in no way a signal that DARPA, the Pentagon’s advanced technology development arm, is shying away from space projects. Other DARPA space projects, including one aimed at developing a low-cost satellite launcher and another to demonstrate satellite salvaging, are proceeding apace, Tousley said. “The [Tactical Technology Office] and DARPA are absolutely committed to space, period,” he said. DARPA is requesting nearly $173 million for space programs and technology in 2014, compared with just under $160 million in 2013, according to budget documents posted on the agency’s website. The 2014 request includes $50 million for the System F6 effort, the documents show. Some industry officials and observers were nonetheless miffed at the decision to cancel a project on which DARPA, according to the budget documents, spent some $226 million from 2006 through 2012. “The agency was robustly funding this for a number of years,” Tousley conceded. DARPA spent $40 million on the System F6 program in 2012 and has $48 million budgeted for 2013, according to the budget documents. DARPA’s mission, generally speaking, is to pursue high-risk, high-payoff technology development projects that could some day benefit the military. These projects are taken on with the understanding that many, if not most, will fail. “DARPA’s role is to take the technical question off the table,” Tousley said. The System F6 experiment was intended to demonstrate and explore the benefits of dispersing the functions of a single satellite across several smaller platforms. The demonstration satellites were supposed to exchange data with one another in space. The program had a troubled history. DARPA in 2009 awarded Orbital Sciences Corp. of Dulles, Va., a one-year, $75 million contract to develop the System F6 mission but later terminated that deal. The agency restructured the program, distributing work among several small companies and universities, with none assigned the lead integrator role, Tousley said. Tousley could not explain the rationale behind the leaderless contracting structure, noting that he only took the helm of DARPA’s Tactical Technology Office in January. Upon arriving, Tousley said, he undertook a review of the projects in his portfolio and System F6 did not make the cut. Tousley also cited a lack of a clear “business case” for heterogenous, fractionated space missions at the Department of Defense, though he drew a distinction between that and the broader disaggregation concept currently being explored by the U.S. Air Force. Disaggregation entails breaking up the mission sets of large spacecraft and dispersing them among smaller satellites. Tousley said the System F6 demonstration did not have a traditional mission, such as imaging. “What was going on with the program was really only data transfer — there was nothing else happening,” he said. Software development delays and contractor performance issues also were factors in the decision, Tousley said. George Davis, president and founder of Emergent Space Systems of Greenbelt, Md., which announced a $6.7 million software contract on the program in mid-2012, said it is his understanding that the company will be allowed to complete its work. The contract, under which Emergent is developing open-source software that will enable satellite clusters to fly in close enough proximity to operate as a network but without colliding, runs through January 2014, he said. “We’re going to rescope the effort ... to define the end state of the software and develop and deliver it,” Davis said in a May 16 interview. Davis said the formation-flying software will have future applications in any number of space and unmanned aircraft missions, both for NASA and the Department of Defense. “All I see is opportunity,” he said. Tousley said technologies developed and tested to date for System F6 will feed into other space projects, not only at DARPA but also at the Air Force. Among them are DARPA’s Airborne Launch Assist Space Access (ALASA) effort, aimed at demonstrating a low-cost satellite launcher, and the Phoenix satellite-salvaging demonstration, he said. Boeing, Lockheed Martin and Virgin Galactic are studying ALASA launch concepts under contracts awarded about a year ago, and DARPA likely will downselect to one or two for flight demonstrations that would take place in 2015 or 2016, Tousley said. “We think that’s a critical mission area,” he said. In recent years, DARPA has canceled two efforts to develop a low-cost airborne satellite launcher, Rascal and Falcon. Phoenix, being led by the Naval Research Laboratory, is intended to demonstrate the feasibility of extending the lives of geostationary-orbiting satellites by replacing fuel or spent components like batteries. The demonstration, targeted for launch in 2016 or 2017, will involve a satellite that has already been moved into a graveyard orbit above the geostationary-orbit arc, which is roughly 36,000 kilometers above the equator. DARPA is requesting $40 million each for the ALASA and Phoenix programs next year, according to the agency budget documents. 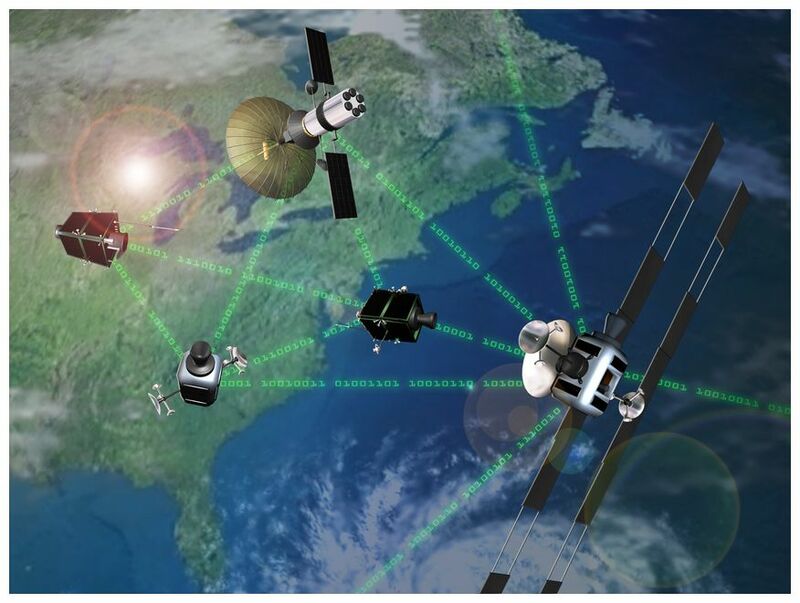 DARPA’s SeeMe effort to design a constellation of low cost imaging satellites able to deliver data to hand-held devices in near-real time is funded through completion of Phase 1 studies, Tousley said. The agency is requesting more than $10 million for the SeeMe program next year, compared to $15.5 million in 2013, the budget documents show.